Portion Of Gnocchi In Tomato Sauce With Cheese. Royalty Free Stok Fotoğraf, Resimler, Görseller Ve Stok Fotoğrafçılık. Image 61770106. Stok Fotoğraf - Portion of gnocchi in tomato sauce with cheese. 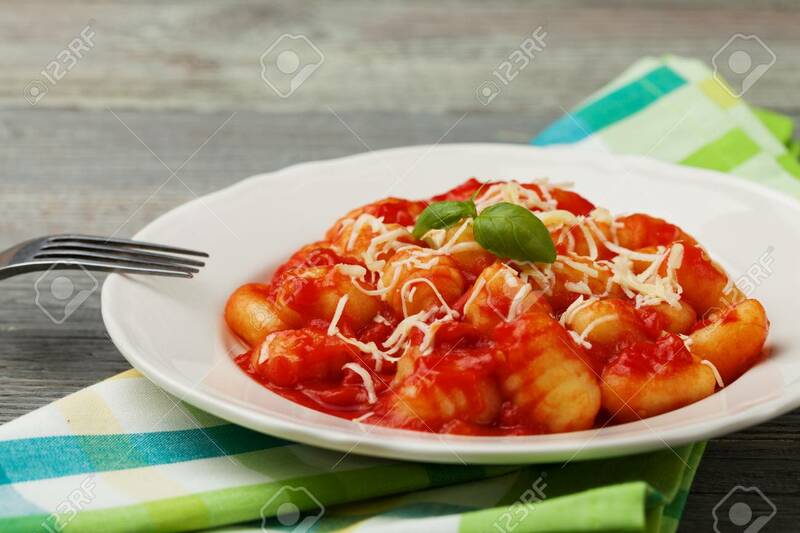 Portion of gnocchi in tomato sauce with cheese.